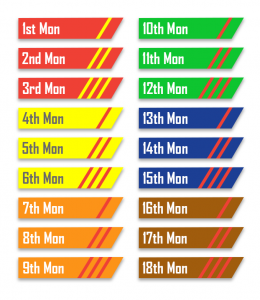 The Mon Grades system is a distinctive feature of judo with promotion to different coloured belts based on technical ability, knowledge and understanding as well as supplementary knowledge of Japanese terminology. Although there is no contest requirement in the Mon Grade system there is a progressively structured randori element at the higher grades. Who are the Mon Grades for? The Mon Grade system is aimed at 8 to 17 year olds and follows on from the Sho Awards. With regular study and training, a judoka should be able to complete the Mon Grade syllabus by the age of 17. In some cases when the judoka is particularly dedicated they may complete it as early as 15 years of age. How does the Mon Grade System work? Judoka follow a progressive study of techniques detailed in the Mon Grade syllabus and attempt promotion to the next grade at regular intervals. These promotions are called gradings. During a grading judoka are required to know the common English names and meaning of all Japanese terminology used for the grade they are being graded for. They are also required to practically demonstrate techniques required for that grading. Where appropriate they must also be able to discuss their reasons for their choice of technique, grip etc. As judoka progress through the Mon Grade system the practical situation and examination process in which they demonstrate the required techniques becomes more stringent and greater in depth. Gradings are usually carried out at the club the judoka is based at by a British Judo licensed Coach. For more information the policies and procedures for the Mon Grade system click here. What are the belts in the Mon Grade system? There are 18 different grades contained within the Mon system, with each grade requiring a different coloured belt and/or belt tag(s). What happens when a Mon Grade becomes a senior (16)? Judoka that reach the age of 16 have the option to transfer to the Kyu Grade system. All Mon Grades that reach the age of 18 must transfer to the Kyu Grade system. These 16 years olds are then able to study and train up to the grade of 1st Kyu and then for the coveted black belt available in the British Judo’s Dan Grade system.